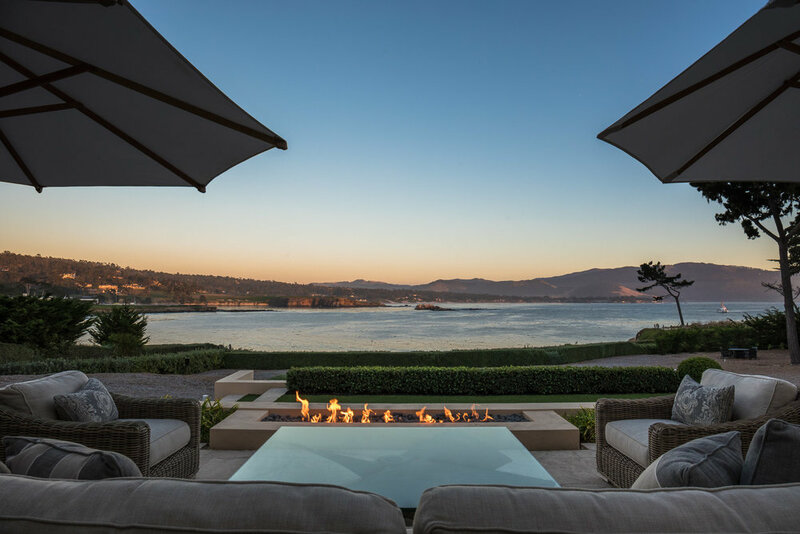 Welcome to La Serena, set in one of the finest natural settings imaginable: ocean front on Stillwater Cove, Pebble Beach, among the most pristine and valuable properties on the California coastline. 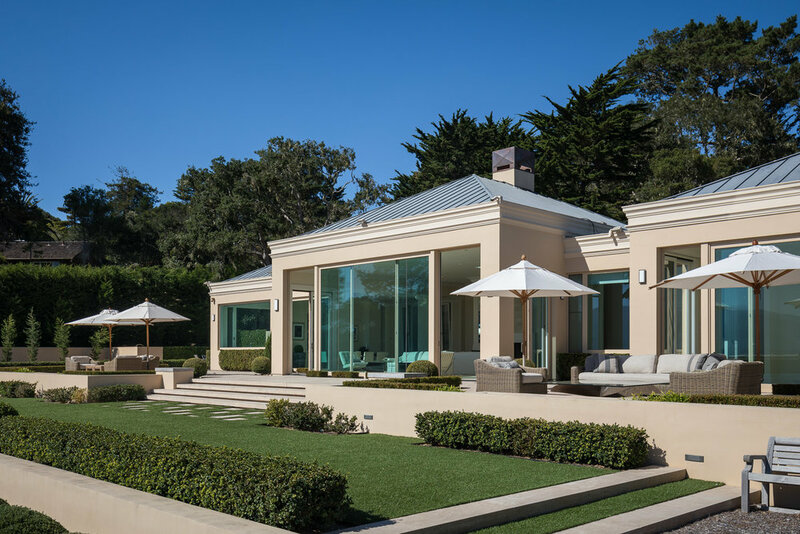 Drive through the understated entry to La Serena and discover an iconic property in an unparalleled location, comprised of three legal lots totaling 2.72 acres, just three doors to the Pebble Beach Lodge with its Spa, Beach Club and the many restaurants, shops and galleries. La Serena’s protected position in Stillwater Cove allows for total enjoyment of the multiple outdoor spaces. Experience an ever-changing gallery of colors, nature, wildlife, and beauty with a backdrop of green fairways and white sand beaches. A WOW location! This exquisite waterfront estate, thoughtfully designed with impeccable finishes, features floor-to-ceiling windows throughout to enjoy the breathtaking views and create an indoor-outdoor flow in all areas of the home. The modern floor plan includes four bedroom suites in the single-level main house with a formal living/dining room, eat-in gourmet, ocean-view kitchen, temperature-controlled wine storage, wide plank oak floors, smart house lighting and security. For indoor-outdoor entertaining just step out of the living room onto multiple ocean front terraces with two fire pits and a built-in outdoor grill, all with expansive views for versatile outdoor entertaining. A family room, library or office overlooks the sea as does the master bedroom with double walk-in closets. Separately, a two-car garage boasts a fifth guest suite, artist studio, office or gym above, with ocean views and its own private entry. 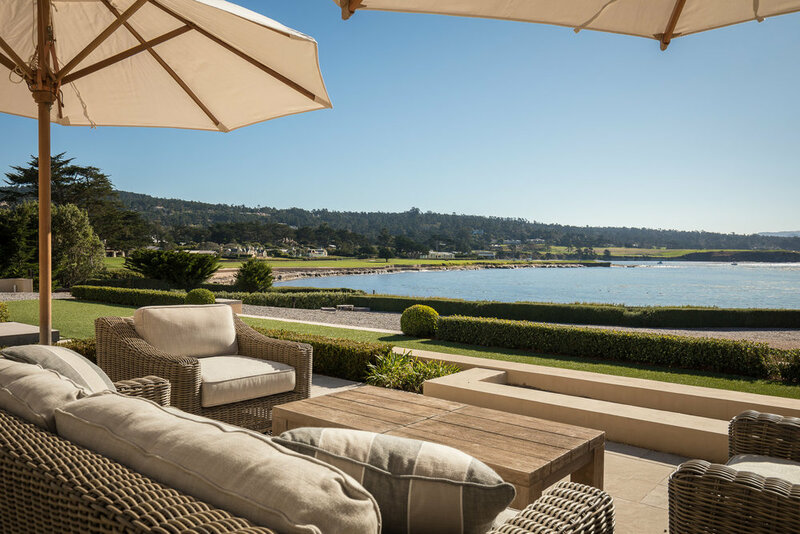 This world-class estate and location is one of only 8 homes on Stillwater Cove that does not have golf greens directly in front, creating the ultimate privacy, while ideally offering access to all of the Pebble Beach Lodge and Beach Club amenities. The additional lot provides an opportunity to create a family compound, large guest house, collector’s car garage, even another home to develop and sell, or the option to keep and enjoy the wide-open space. This legacy property is truly a rare opportunity to live and own along one of the most valuable stretches of California coast. Alfresco: Expansive terrace and tiered ocean front grounds with multiple firepits for lounging and dining with built-in BBQ area. Guest Quarters / Gym: 473 square feet; Oversized guest suite or gym above garage, full bathroom, separate access.